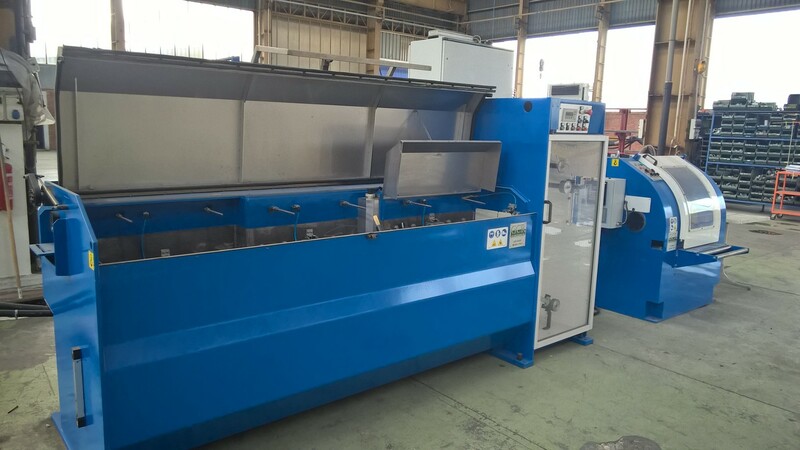 We have available the following machines. 1. 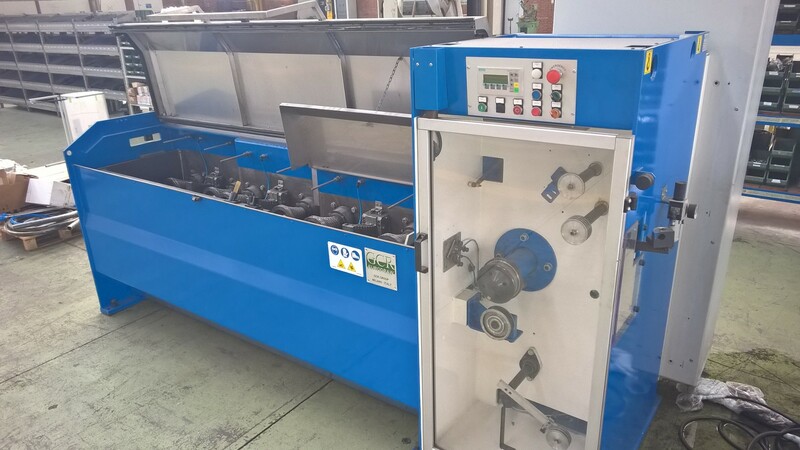 AUTOMAT FULLY AUTOMATIC COIL PACKAGING LINE: YEAR 2009, Hydraulic press, automated strapping system, automated coil wrapping in PE film, tilter and carrier extractor. EXCELLENT CONDITIONS AND FULLY FIUNCTIONAL. SV1-M - vertical axis payoff model SV1-M with motorized rotating plate. This payoff allows the unwinding of pattern laid coils at high speed. the combined vertical défilé payoff mode with the rotation the coil allow a speed of 300 m/min for wires of low or high carbon with diameter between 1.50 and 3.50 mm. TCO - wet drawing machine - see below specifications. Wire grade: Low/High carbon steel wire, Brass wire. 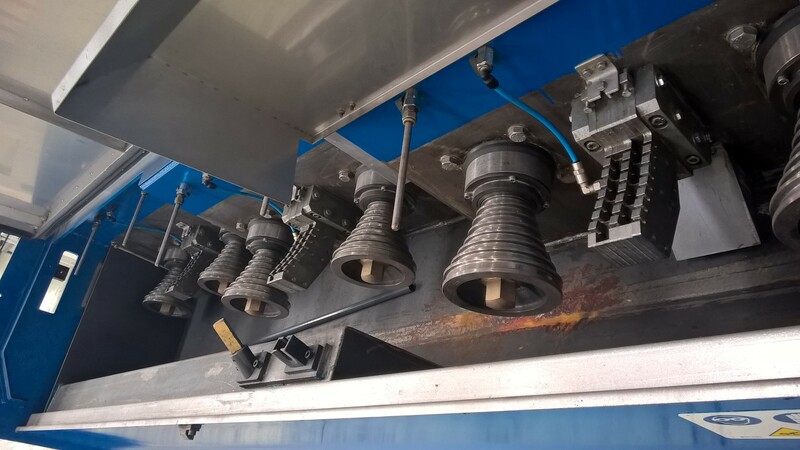 One machine is inclusive of spooler for up to 460 mm spools, the other machine is without spooler but we can provice a new one within short time. 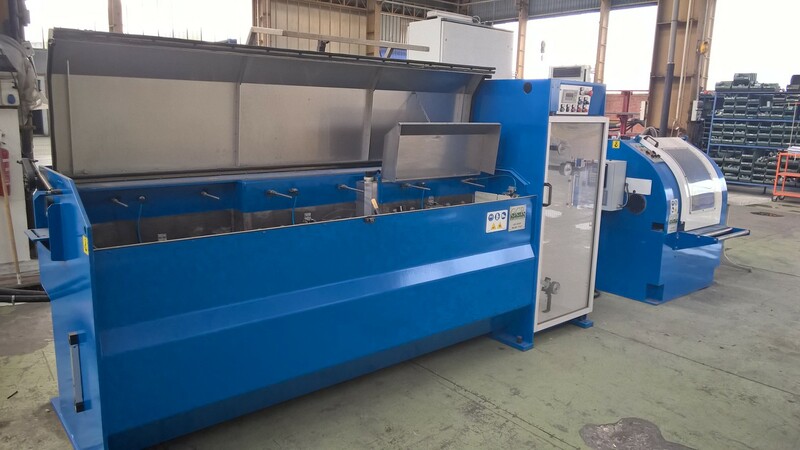 The machine has only 500 Hours on the clock and is in virtually new condition.